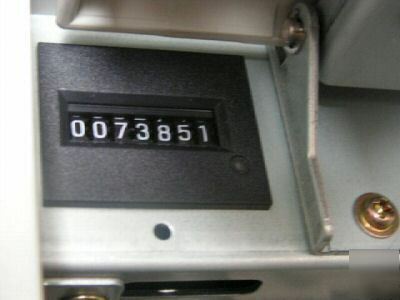 This is a Konica copier demo unit. It has a very low copy count, and it is in very Good condition. We can service this item for as low as 0.01$ per copy. The contract will be based on monthly volume. For an exact rate look under Service Contract. The service contract applies only to the state of FLORIDA. This machine comes with an ADF and an automatic duplex. FS 106-FS 107, IP 011/421 and a G3 Fax Kit are optional. Call for pricing. Maximum Original Size of 11"x 17"
1. We have over 20 years experience in this branch. 2. We sell new like new or demo units. 3. selling before we completely refurbish the used items. 4. selling before we have a guarantee to wok from our techs. Geoda Systems Inc. is one of the largest refurbished copier retailers in Florida. 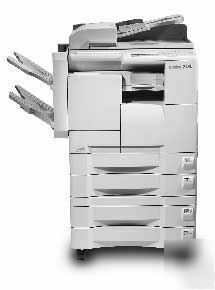 We sell, service and repair any kind of copier. All our units are demo's with low copies or refurbished in our state of the art facility in Ormond Beach. Cell: - Costin Corneanu, Director of Marketing. All products sold by Geoda Systems have an optional warranty program. Because we can not service all the states we do not automatically place items under warranty. Machines are in great condition, but if you want to purchase warranty please call .